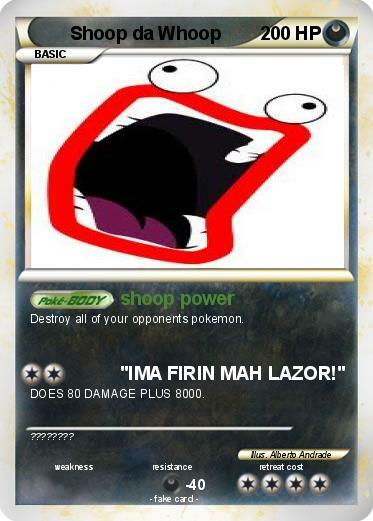 Destroy all of your opponents pokemon. Attack 2 : "IMA FIRIN MAH LAZOR!" DOES 80 DAMAGE PLUS 8000.